Four castors, including x 2 with brakes. The battery powered ETFD35 scissor lift has a lifting capacity of 350 kg, and can reach its maximum height of 1300 mm in just 40 seconds. It is easy to manoeuvre with four swivel castors—two which are equipped with brakes for extra stability and safety. 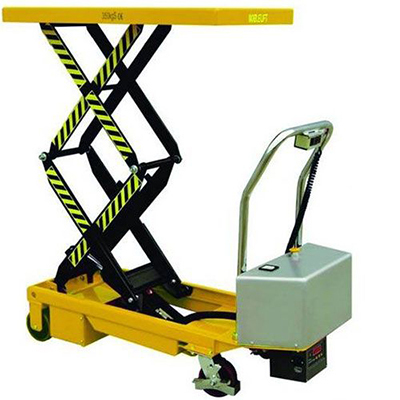 Lift capacity of 350 kg.